Hopefully you have had a good summer, and have had some “GOOD FINDS” at yard sales, or second hand stores finding some sweaters to use on all your upcycled projects. It’s a great time to sew! Winter is on it’s way, and Christmas is just around the corner. 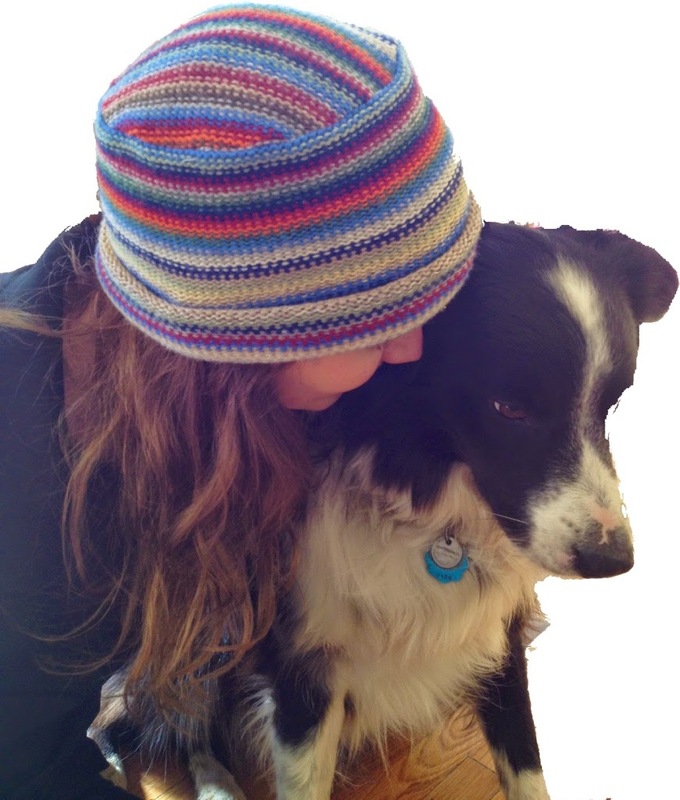 The perfect time to get out you sweater stash,( for all you upcycled sweater junkies), or find a sweater that you love, but don’t wear anymore and upcycle it into a fabulous hat, like this Bobbi Jo hat. 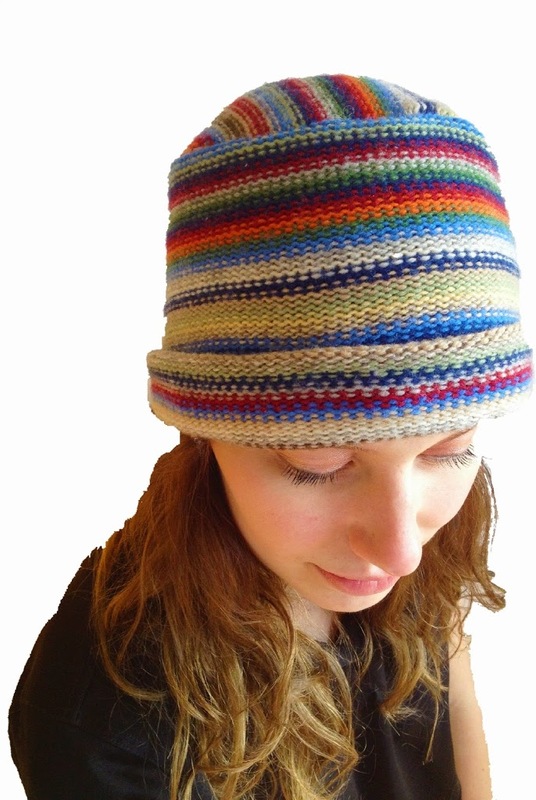 This is my latest pattern design, the BOBBI JO hat. 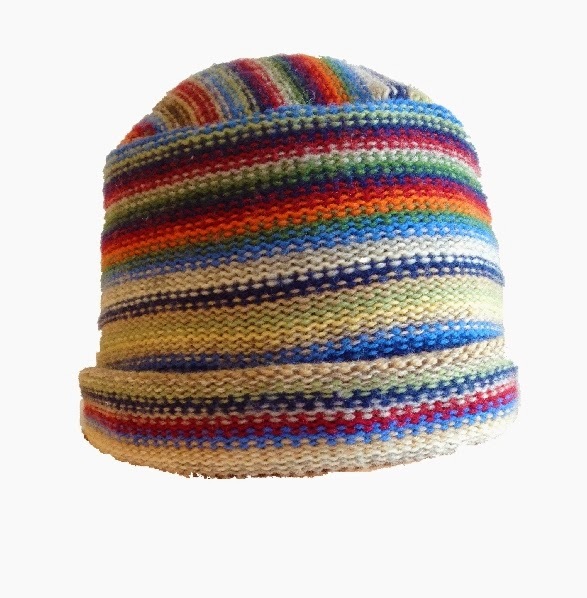 A cross between a pill box hat and a beanie. I love the way it fits on the head, and is so comfortable and cozy around the ears. This hat was made from a cotton blend sweater. I loved the look of the “wrong side” of the fabric so I sewed it up that way, with the wrong side on the outside. Looks almost like I knitted the hat. 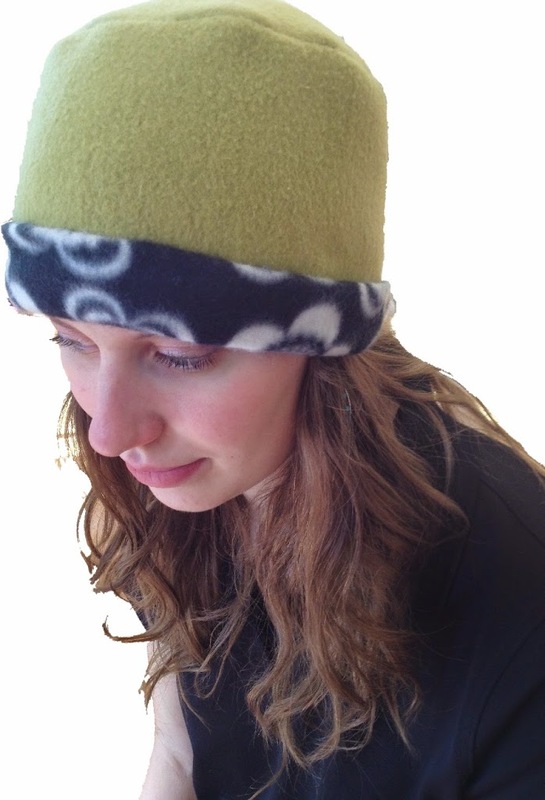 This hat was made from fleece scraps. If you haven’t sewn on fleece, you need to try it. So easy and fun. This time of year, fabric stores usually have their fleece at a great price for Christmas gift making. Embellish the hat with all kinds of things. 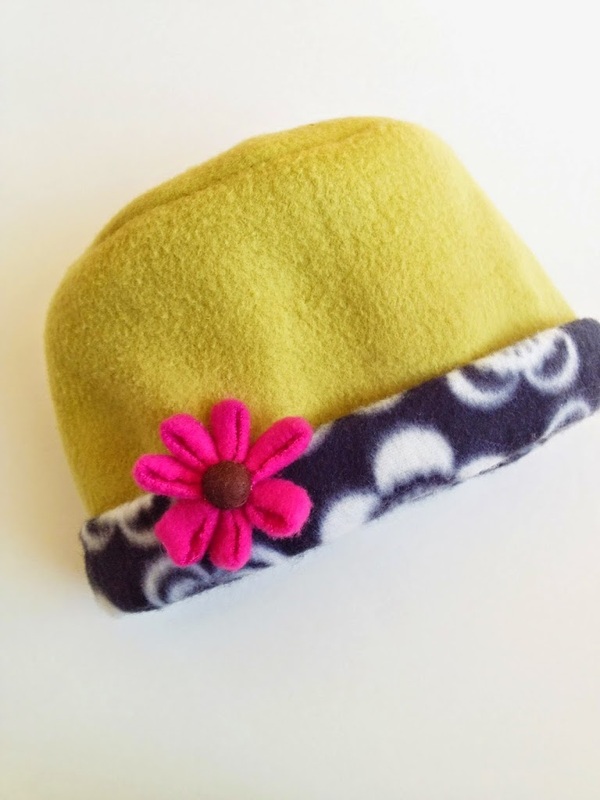 This hat has a fleece flower, which is real fun and easy to make. I have a free tutorial here on my blog or you can purchase a pattern with several different kinds of flowers from either of my shops, Etsy or Craftsy. 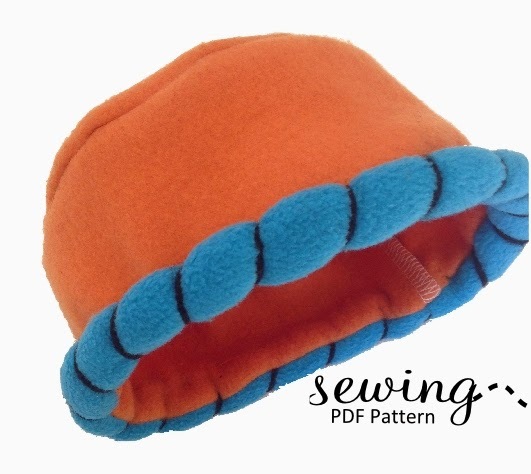 This cute little toddler size hat was finished with a rolled brim. This is an easy technique that adds a little character and pop of color around the face. There are so many options with this pattern. Just think of all the cute little or big hats you can make up for Christmas gifts. The pattern includes sizes from INFANT all the way up to an ADULT LARGE. This is a real easy project to whip up. 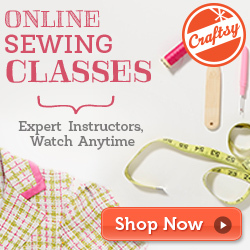 Great for even a beginner seamstress. A basic sewing machine is all that is needed. If you have a serger, that works great too! You can find the pattern for INSTANT DOWNLOAD in my Etsy shop or Craftsy shop. For all my blogging friends: If you purchase the Bobbi Joe hat and leave a comment on my facebook page, I will send you a FREE infant-child or adult mitten pattern. Just let me know in your comment which one you want and I will email it right to you. *For all of you who are not Facebookers, no worries. Just PIN the pattern on Pinterest or leave a comment on my shop and let me know. I will get it to you.